6.0 Marshmallow Archives | Lets Learn to Hack Android. Which Android Version Was Your Favorite? 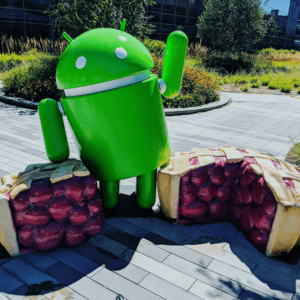 What Are Our Top Three Favorite Android Pie Updates? 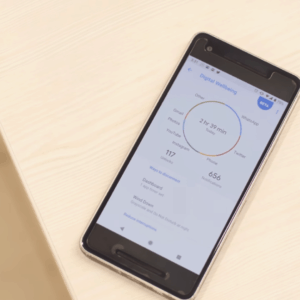 Android Pie has a amplitude of unique features that will allow you to increase productivity and spend less time on your device. One of those features is the screenshot improvements. You have the ability to use the old screenshot method or the new screenshot method. Old Screenshot Method: Hold down the power button and the volume down ⬇ button at the same time. New Screenshot Method: Hold power button until a side bar (accessability menu) appears in the top right-hand corner offering the screenshot option. The new android version 2018 also allows you to crop and edit the photo! Don’t worry, you still have the ability to rotate the screen on your device using a simple easy to find button. Instead of your screen to rotate every time you move your device (unless you are like me and keep your device locked to portrait mode) you will be able to decide when you want your device to rotate. Your device will track the amount of time that you spend daily using different applications allowing you to enjoy a more productive and healthier lifestyle. Enjoy the ability to take a break from a heavy workload with the reminder feature that is triggered once you have been using an app for a specific amount of time. Along with the Data Wellbeing feature the Android Pie update also offers an app ???? locking solution, only allowing you to use that specific application for the amount of time that you’ve allotted for it. Accessibility Menu: Allow actions like screenshots and one handed navigation. Sound Amplifier: By using over 100 settings, you are given the accessibility to enjoy better quality sound quality is a number of ‘loud’ scenarios. Select To Speak: Select the text on the screen and it will be read aloud. Adaptive Battery: With the help of machine learning your phone figures out your daily app schedule and only focuses on the apps that you use most often to save your battery life! Adaptive Brightness: Based on your schedule your phone adapts to the environments that you are in to ensure optimum viewability. Background Restriction: Restrict certain apps that use more battery the others. Battery Saver: By turning off features that you don’t regularly use, battery saver gives you access to a longer battery life. External Camera Support: Supported devices with the new Android version 2018 allow you to connect both USB and UVC cameras. Multi Camera Support: Devices with a multi-camera set up will gain the ability to use a dual use zoom feature (lenses switch back and forth), stereo ???? 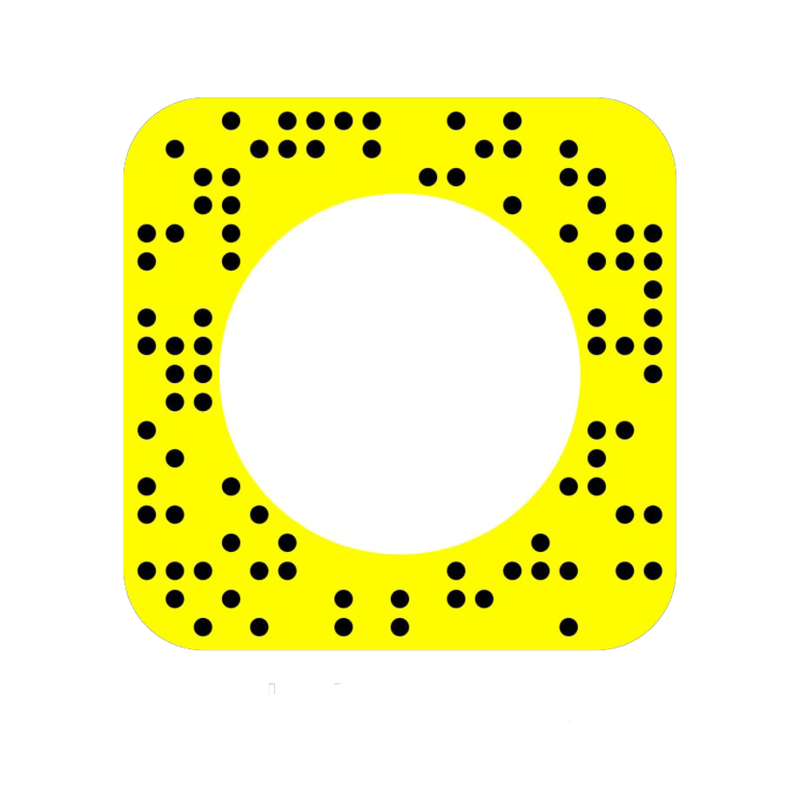 vision, and bokeh effect! App Dashboard: View the amount of time that you use on your phone, plus you will have the ability to see what apps ou use most (and least) and ind out how much time you spend on each individual app. App Timers: Set daily timers to limit amount of time you are able to spend on an app. If you reach the time given the app will lock for the rest of the day. Do Not Disturb: Continuing the lack of notification noise when do not disturb is on. Includes a feature that turns off certain notification pop ups allowing you to see and do what you want on your phone. Wind Down: Set a daily schedule that gets your phone ready for bed ????. Display Cutout: Cutouts make use of available screen space. Edge-To-Edge Screen: Devices with 18:9 or taller aspect ratios are supported or devices with cutout. Multiple Users On Dedicated Devices: Up to 5 people can have a account and use a device with the new Android version 2018. Postpone Over The Air (OTA) Updates: An Enterprise IT admin has the ability to freeze your device for up to 90 days, not allowing you to update to the next Android versiong. Work Tab In Launcher: Separate work and leisure on your Android device, block the usage of applications that may distract you at work or home. HD Audio: Enjoy the access to cleaner, stronger, and richer sound quality. HDR: have the ability to watch HDR enabled movies and videos. HEIF: Reduce storage space taken by images and improve compression. Multiple Bluetooth Connections: Have up to five bluetooth devices connected to your smartphone. Delay Reporting: Assure yourself that the audio and video is always in sync. Volume Memory Per Bluetooth Device: Devices with the new Android version 2018 are able to remember what volume you previously used on your synched Bluetooth device(s). Notification Enhancements For Messaging: Your phone will provide you with smart suggested replies on your in device messaging app. Manage Notifications: Your device will remove the notifications from apps that you usually swipe away. Android Backups: Encrypt Android backups using a PIN, password, or pattern to ensure better security. Android Biometric Prompt: Includes a number of new security features. Android Protected Confirmation: Devices compatible with this feature using UI controlled by the secure hardware have the ability to get your confirmation before completing a transaction using sensitive information (like your card information). Privacy Enhancements: The new Android version 2018 has a wide variety in privacy features that are included in the update. One of the many features restricts access to the camera and microphone when they are in idle or the background. SongBox: take advantage to the tamper-resistant hardware protecting their private keys making it harder to steal credentials. At-A-Glance On Always On Display: View important information like your calendar, events, and weather on your locked device. App Actions: Predicts applications that you’ll want to use next based on the context of the app that you are currently using and your previous app usage. 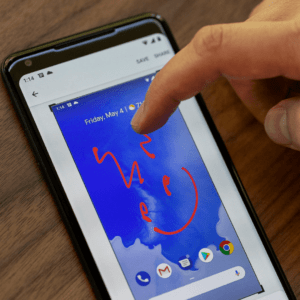 New System Navigation: The gesture navigation everyone’s been talking about! Make your way through your phone in a more productive manner using swiping gestures instead of pressing buttons. Overview Selection: Long press a image or text to view more information about what you’re looking at. Redesigned Quick Settings: User experience that is consistent that has a wonderfully updated visual design and added information subtext! Rotation: Control your devices rotation with a button that tells device when to rotate. Screenshots: Now, when you take screenshots you can easily annotate, draw, or crop the image. Slices: Interactive snippets from your favorite apps. Volume Controls: Allows you to control volume more easily. The new Android version 2018 is a very recent update at this point, meaning there are still a few bugs to be worked out. Those who have already recieved the update have had difficulties with their battery life, adapting to gesture controls, and Google pay. 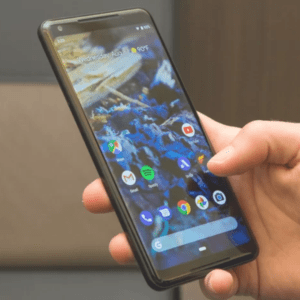 Google and Android have been making updates that should solve the issues that people have been having. 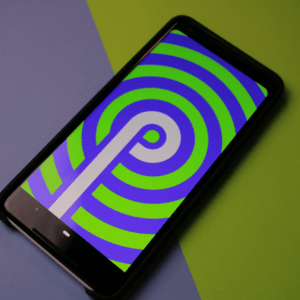 Many have very high hopes for this new Android version, are you excited to get the new Android Pie update or do you already have it? Let us know in the comments below. If you are interested in staying up to date about Androids most recent update Pie or any other mobile news, then join the TechJunky family.